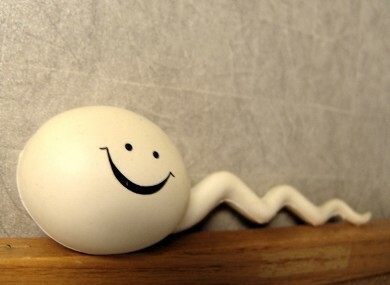 A UK STUDY has found that a young man’s sperm is no better than an older man’s. Despite emerging evidence of a decline in sperm quality with increasing age, an analysis of every first fertility treatment cycle performed in the UK using sperm donation showed that this is not necessarily the case. Dr Meenakshi Choudhary, from the Newcastle Fertility Centre at Life, Newcastle upon Tyne, said the research reaffirms the observation that a couple’s fertility appears significantly more dependent on the age of the female partner than on that of the male. The research involved an analysis if all UK treatment centres with sperm donation registered by the Human Fertilisation and Embryology Authority between 1991 and 2012. From a total of more than 230,000 sperm donation cycles, 39,282 were from a first cycle of treatment (with either IVF or donor insemination) and were included in the analysis (a first cycle would avoid any bias from previous attempts). Results showed a difference according to female age, both in the IVF and the donor insemination treatments. The live birth rate from IVF with donated sperm was around 29% in the 18-34 age group, but only around 14% in the over-37 age group. However, within these same two female age bands, no significant differences were found in live birth rate (LBR) relative to the age of sperm donor. Choudhary said “it’s sperm quality rather than male age that matters”. Email “Study finds old men's sperm is just as good as young men's”. Feedback on “Study finds old men's sperm is just as good as young men's”.